100 x 50 Joists - Home Ark Fencing, Decking and Landscape Supplies, Swansea. Pressure Treated Tanalised Brown Sawn Timber Joists ideal for building your decking frame work. 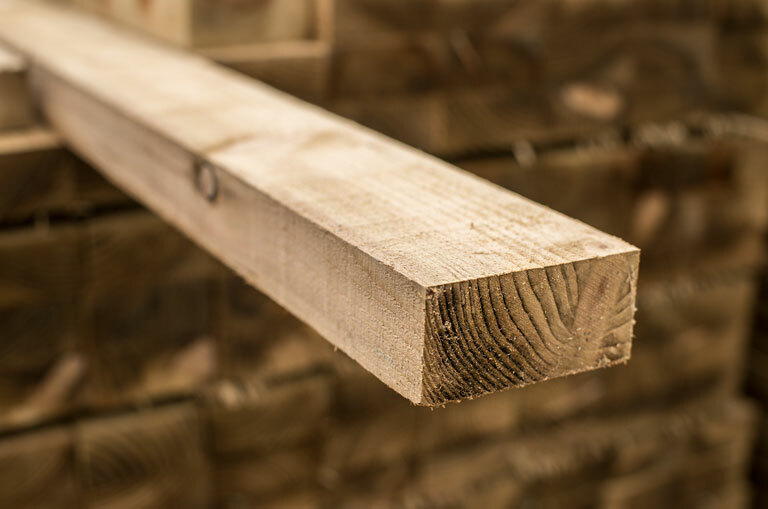 Our timber is treated using a state-of-the-art preservative system that guarantees an extended service life from the timber you buy. TANALISED® E is the best that there is. It’s a modern high-precision process that gives long-term protection against fungal decay and insect attack. Using vacuum pressure technology, the system protects wood with TANALITH® E, a preservative that makes best use of the latest copper triazole technology. It contains copper from recycled sources and triazoles that are biodegradable, which means that they don’t persist in the environment. Treated products are perfect for use inside and out and above the ground, in the ground and in contact with water. Timber is an environment-friendly material and we do all we can to supply timber products in a way that adds to that benefit by limiting the environmental footprint of harvesting, processing and delivery. So all our round timber is sourced from well managed forests which means that young saplings are planted as mature trees are felled. Using locally-grown wood we minimise haulage and we do all we can to make our haulage operation as efficient as we can to keep our carbon ‘footprint’ as small as it can possibly be. And lastly there’s the preservative, TANALITH® E. It contains copper from recycled sources and triazoles that are biodegradable, which means that they don’t persist in the environment.